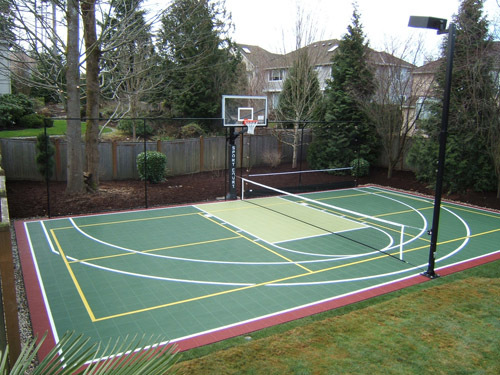 Let Sport Court® Houston build you your own Sport Court® pickleball court and multi-sport game court. 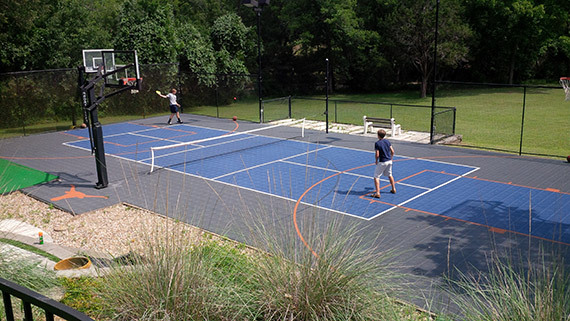 Now becoming one of the most popular games in Houston and nationwide, a pickleball court by Sport Court® Houston will bring your family lasting entertainment. Contact us today for a free consultation or on-site estimate. Pickleball is a sport described as "a combination of ping-pong, tennis, and badminton," played in schools, parks and recreation centers, camps, and retirement communities mostly in North America. It uses a simplified combination of tennis rules and strategies. Ages 5-85 can play. Pickleball was created during the summer of 1965 on Bainbridge Island - a short ferry ride from Seattle, WA. 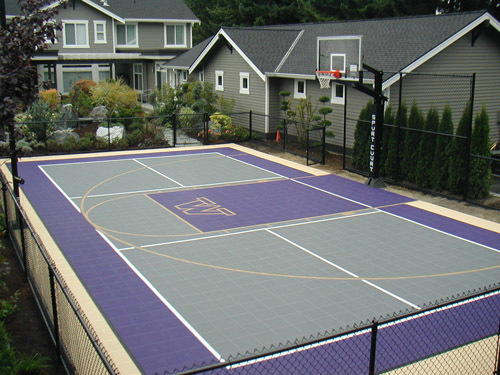 The original purpose of the game was to provide a sport for the entire family, according to co-inventors U.S. Congressman Joel Pritchard, William Bell, and Barney McCallum. Pickles was the family dog that would chase after the errant balls and then hide in the bushes, thus Pickle's ball which was later shortened to the namesake of Pickleball. Initially, families played Pickleball in their backyards on a hard surface, on driveways, and on residential dead-end streets. Since the mid-1970's, Pickleball has grown and expanded from a family activity game to a paddle court sport with formalized rules. Now, over 20 years later, Pickleball is played in thousands of school P.E. programs, parks and recreation centers, correctional facilities, camps, YMCAs and retirement communities. This sport is becoming very popular among active senior adults at community centers and is growing in popularity on high school and college campuses. The game itself is played on a pickleball court that is the same size as a badminton court (20 feet wide by 44 feet long). The net is set at 36 inches high on the edges and 34 inches in the middle. 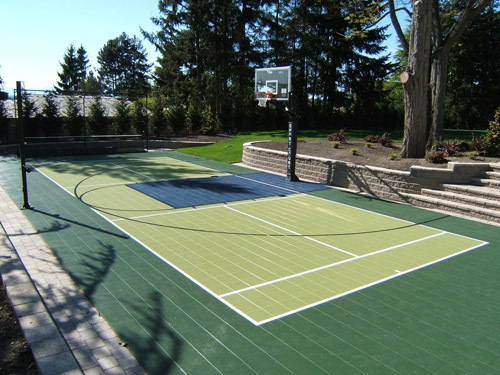 Pickleball's small court allows younger players or those with varying degrees of mobility to participate in a way that the larger court of tennis sometimes prohibits. Additionally, a rule prohibiting volleying (hitting the ball in the air) in the non-volley zone (the space 7 feet from the net) helps to equalize play and reduce overpowering smashes at the net. Pickleball has become a common high school sport in gym classes and has gained popularity with teenagers as well as seniors. Schools often host tournaments. In New York State alone, it is estimated that over 500 schools include Pickleball in their curricula. A pickleball is similar to a wiffleball, but it is made with a more rigid, heavy material and has smaller holes. The common practice is to play outdoors with yellow or orange balls and indoors with white balls, but anything goes. High density foam balls may also be used to play the game. The paddle is similar to a ping pong paddle in that it is solid and easily maneuverable with a turn of the wrist. When game was invented, wooden paddles were used and are still used at many institutions due to lower cost. The best quality paddles are made of lightweight fiberglass due to their lower weight and higher durability.